At Clark's Trailer & Towing Solutions we specialize in all your trailer needs. If it is parts you want we have a large inventory in our showroom. We repair utility, cargo, horse, boat, car haulers and more. Ask us about our preventive maintenance service. We can do insurance quotes and accident repair. Upgrade your lights to LED. They are much brighter and last much longer, therefore making you safer on the road. 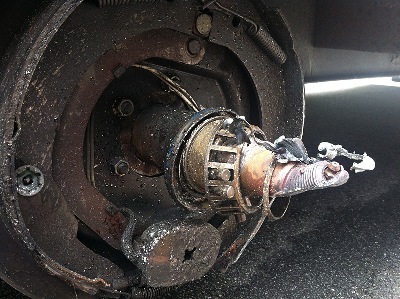 Preventive maintenance keeps you trailer safe and on the road. It reduces the risk of costly repairs, not to mention tickets for unsafe equipment. At Clark's our goal is to give you piece of mind with a safe and reliable trailer. Check out our preventive maintenance page for a list of our inspections we do for preventive maintenance. 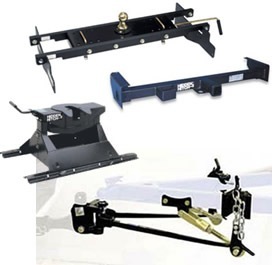 We sell and install trailer hitches, fifth wheel hitches, gooseneck hitches,weight distribution, sway control, tow bars and base plates, brake controllers, wiring harnesses, braking systems for flat tow vehicles and much more. Having the right hitch for the job is very important. Many times people tow trailers that there gross weight far exceeds the capacity of there hitch. At Clark's we have the knowledge and experience to provide you with the correct product for the job. If you are not sure of the capacity of your hitch, come by the shop and we will take a look at it and assist you in getting this information. 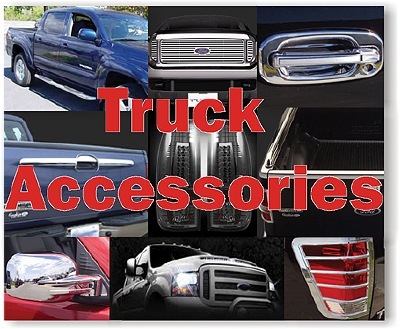 We offer a full line of truck accessories. Anything from step bars and running boards, custom grills, bull bars, grill guards, chrome mirrors and door handles,floor mats, rain guards, tonneau covers, custom lighting and more. We sell and install commercial products for vans and trucks such as ladder racks, toolboxes, shelving, strobe lights and more. WE INSTALL WHAT WE SELL!